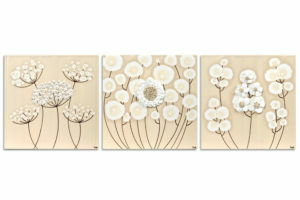 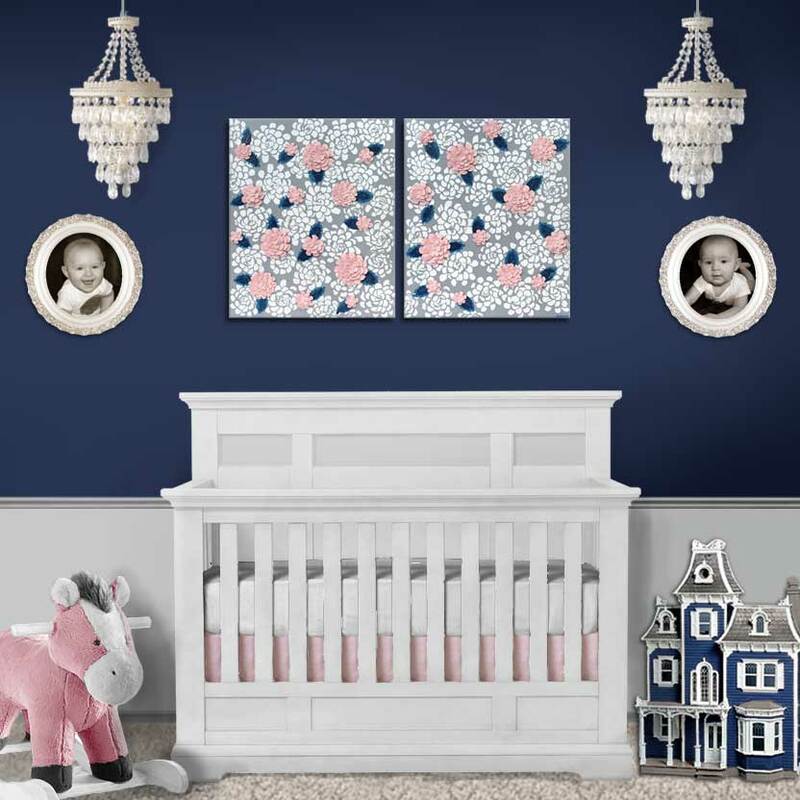 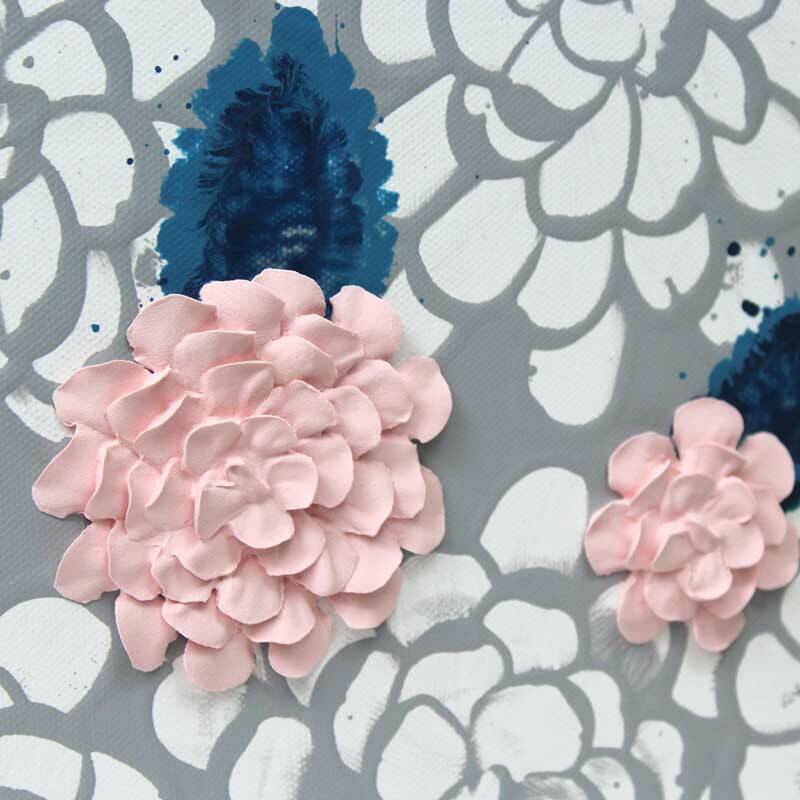 This nursery wall art features pink hand-sculpted dahlia flowers. 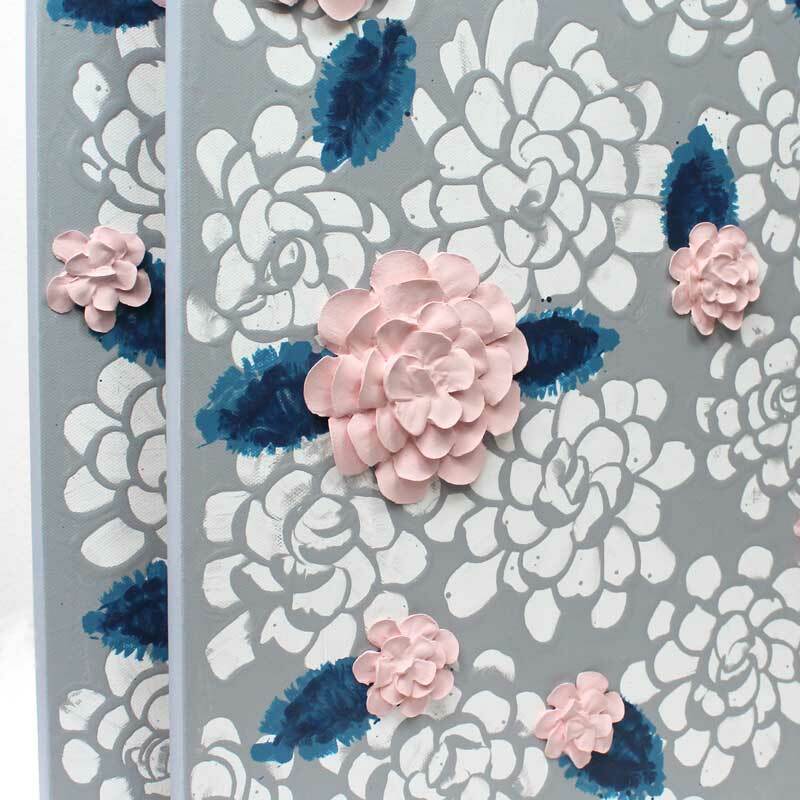 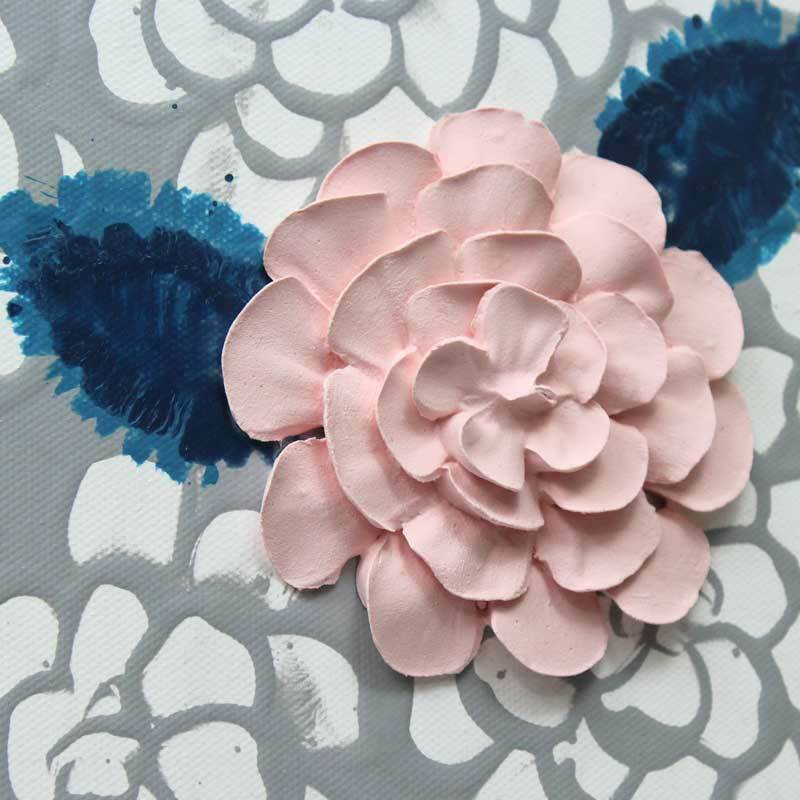 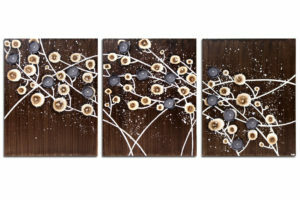 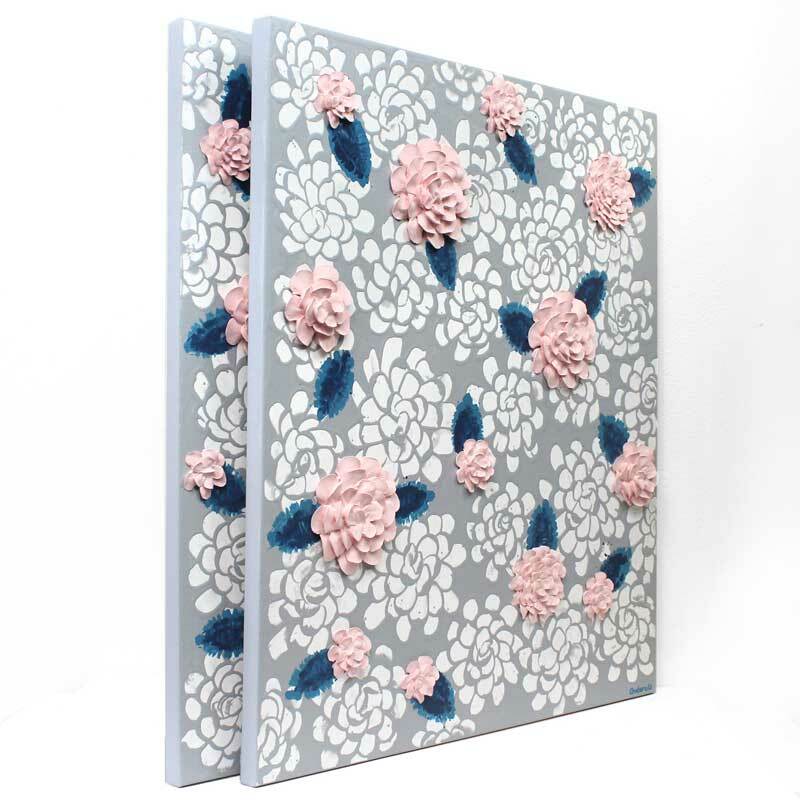 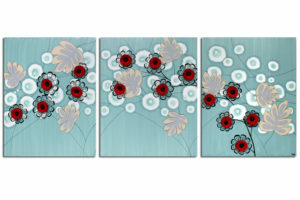 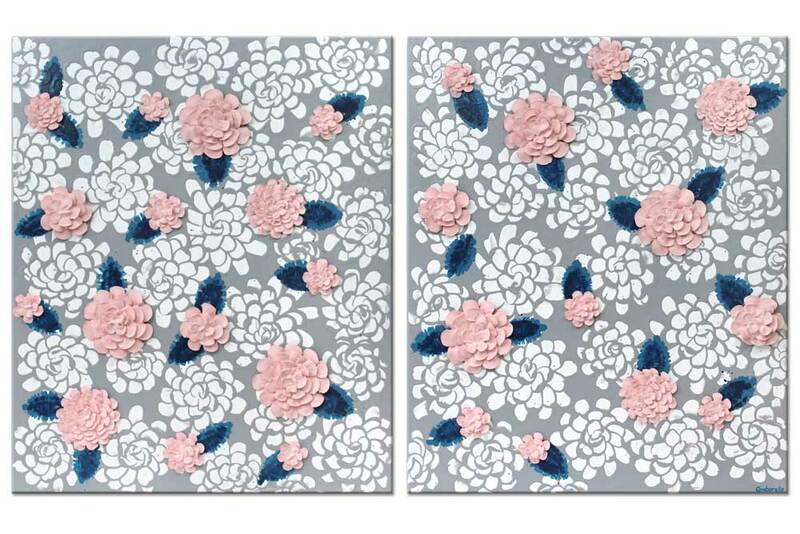 The background flowers are hand-painted in cool gray and white with two-toned blue leaves. 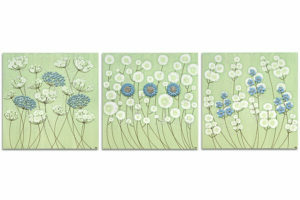 Hang the two canvases as a set with a minimum 1″ spacing or hang separately. 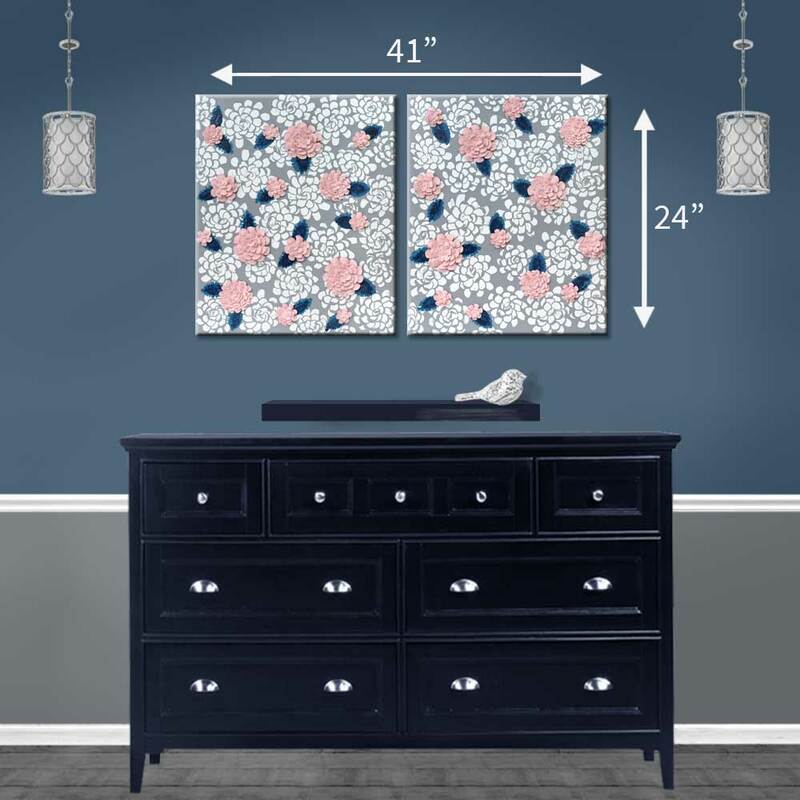 Securely hang your artwork out of reach of children.